A revolution is taking place in the trucking industry. As aging male drivers retire, the demand for new drivers to take their place has not been met. As a result of this shortage, wages have been going up, with companies also offering attractive sign-on bonuses. But driving jobs still go unfilled. Increasingly, trucking companies are looking to hire women drivers to fill the gap. Make no mistake about it: truck driving is a challenging job, and there are a number of factors that may deter women as well as men from going on the road. Nevertheless, many women do find truck driving a fulfilling profession, and are not daunted by the challenges. According to a 2018 article in the Washington Post, America has a shortage of 51,000 commercial drivers. Companies such as Amazon and Walmart are shipping more goods than ever across the country, and are helping to drive this demand, according to the American Trucking Association. The shortage of drivers is resulting in delayed deliveries and higher-priced goods. It seems it’s only going to get worse in the years ahead, says the ATA. Despite the challenges, many people are drawn to the job because of the wages — which, though they can be uneven, depending on the company you work for — are better than many other jobs that a person without a college education can get. Companies where women are in management are seen as attractive to female drivers, as the female managers usually have more sympathy for the women drivers’ issues. Although the field is far from perfect, women drivers are now more accepted than ever. Women drivers are also taking matters into their own hands to improve conditions. For instance, they are joining Facebook support groups, where they share information for safety, best companies to work for, and best truck stops for women. Female drivers also join trucking associations specifically for women where they can share information and communicate with sister drivers, while working to improve conditions for women in the profession. A number of other changes in the way women are viewed are taking place in the trucking industry. Some companies have come to appreciate that women drivers take fewer risks and therefore may be safer drivers — possibly because of the differences in testosterone levels between men and women, according to driving safety experts. Trucking companies appreciate that women do a better job of completing paperwork. Women are said to treat their equipment better than male drivers. Women are viewed as being better communicators with customers. Trucks have become more driver friendly, and freight doesn’t necessarily need to be “fingerprinted,” or unloaded, by the driver anymore. All that means it’s less important the driver be big, strong, and mechanically-inclined. Hauling lengths may often be shorter these days, so there’s more time at home — which is attractive to women drivers as well as their male counterparts. All these developments are good news to women who are considering entering the trucking profession, but who may have doubts about their abilities and concerns about the environment they will work in. While long hours make it difficult for women with families to drive professionally, women without those responsibilities may find the independence that driving offers appealing. Overlooking the hardships, many women are drawn by the adventure of being on the road. Women drivers also find appealing the fact they’re paid comparably with men. Pay is based on mileage, number of hours, or a percentage of the load; gender does not enter into it. Another factor encouraging to women is that they can enter the driving profession later in life. Typically, drivers of any sexes may be in their 50s or even older. Many women find it an attractive option later in life it’s difficult to get other types of jobs. Professional drivers must get their CDL, or commercial driver license, before they can work. Typically, drivers enroll in a truck driving school, where they take a course to learn the basics of commercial driving. Once they pass their CDL test, they can get hired by a trucking company and get their over the road experience. Are you a woman considering a career in truck driving? 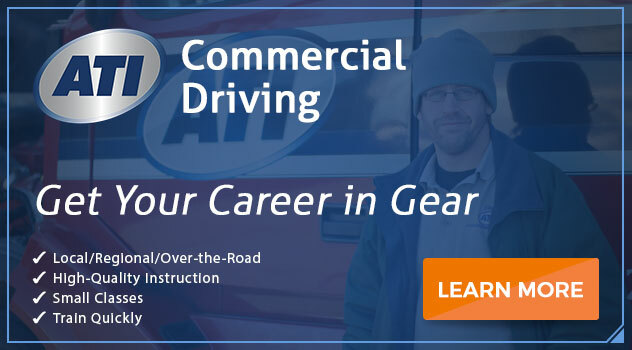 Connect with Advanced Technology Institute today to discuss enrolling in Tractor-Trailor Driving. Once you successfully complete your training, you’ll be ready to take your CDL examination and get on the road! Previous PostWhat Schooling to you Need to be a Heavy Duty Mechanic? Next PostWhat is it Like to Drive a Truck for a Living?